Ram will offer both the 2019 Ram 1500 Classic, known internally as the "DS" model, and the all-new 2019 Ram 1500 ("DT") at its North American dealers through the 2018 calendar year. "As we launch the all-new 2019 Ram 1500, we didn't want to walk away from a key part of the light-duty truck market," said Mike Manley, Head of Ram Brand — FCA. 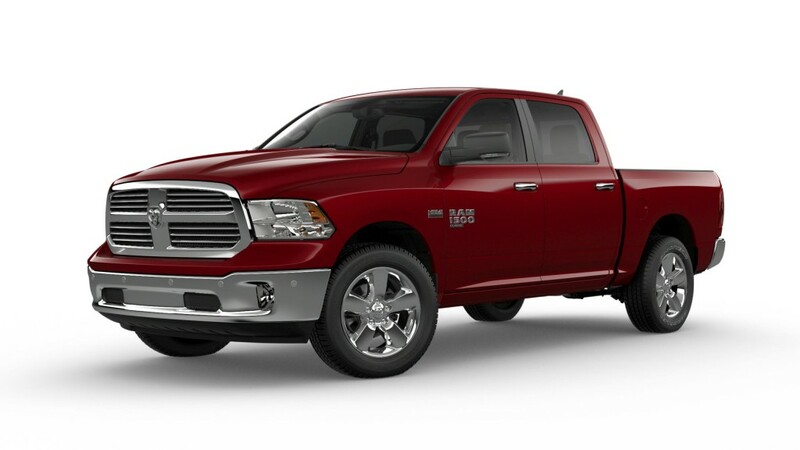 "Ram will continue to produce the 1500 Classic targeted at entry and commercial buyers." The Ram 1500 Classic boasts numerous segment-exclusive features in areas most important to truck buyers. Excellent ride and handling is accomplished via a unique link-coil rear suspension system. Other features, such as RamBox bedside storage, hidden bins and a flat-load floor, offer unique solutions for cargo. New "Classic" badging is located on the fenders. SXT Plus is offered on the ST trim that includes chrome bumpers, body colour front fascia, fog lamps, dual exhaust on V8 models (new to ST), and 20" chrome wheels (new to ST). Express Blackout Package is offered on all Express trim exterior colours which includes Black wheels, Black headlight bezels and Black badging. Available in 4x2 or 4x4, other powertrain offerings include award-winning 3.6-litre Pentastar V-6 or optional 5.7-litre HEMI V-8. The optional 3.0-litre V-6 EcoDiesel will be available at a later date. The Ram 1500 features a multi-link rear coil suspension that provides best-in-class ride and handling qualities, according to the manufacturer. A coil-spring setup centralizes and absorbs bumps and impacts, while reducing the amount of friction in the spring system. This setup also weighs 18 kilograms (40 pounds) less than a leaf-spring configuration. Ram trucks come with an unsurpassed five-year, 100,000 kilometre powertrain warranty. Truck customers from half-ton to commercial have a demanding range of needs and require their vehicles to provide high levels of capability. Ram 1500 Classic will be available in the fourth quarter of 2018.